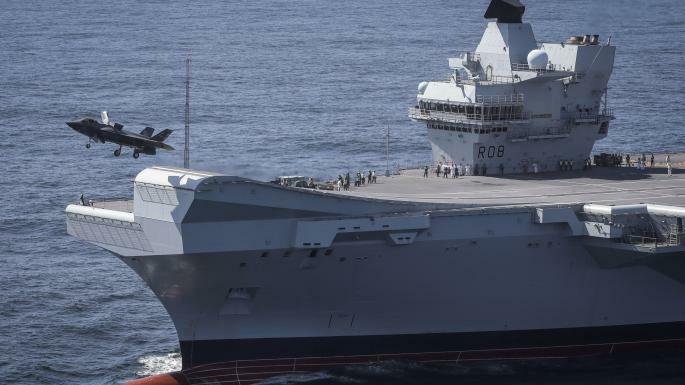 UK Sending Aircraft Carrier To China In "Show Of Force"
Perhaps out of humiliation over the ongoing spectacular tragicomedy that is Brexit, and in desperate need of a distraction from her domestic political troubles, Theresa May has taken a page out of the the US neocon playbook, and has decided to send Britain’s new aircraft carrier to China’s backyard in what The Times has dubbed "a show of strength" - just in case Beijing is unclear how to respond to this hilarious development - because apparently the UK believes it is a US stunt-double when it comes to sending Beijing messages about its territorial ambitions in the South China Sea. HMS Queen Elizabeth, the UK's largest warship. 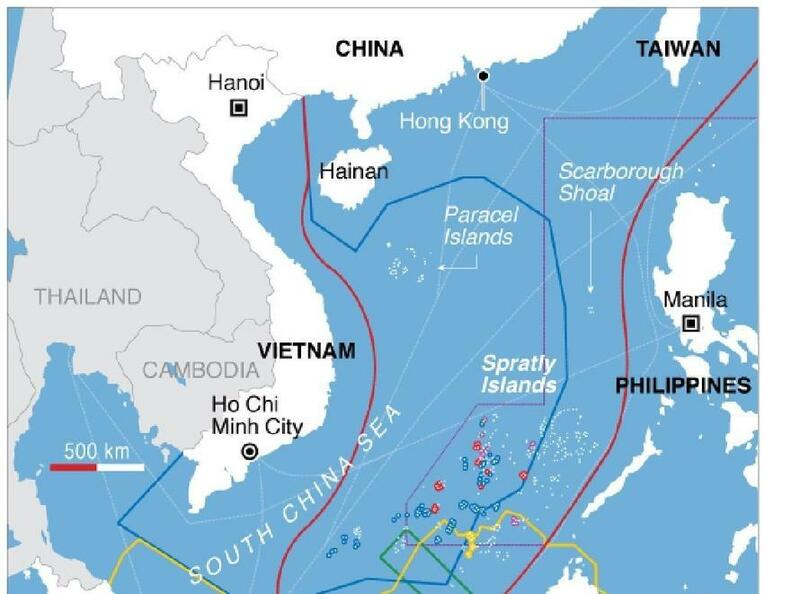 May's defense secretary, Gavin Williamson, will say today that "Britain must be ready to use hard power" to protect its interests, The Times reported, although it wasn't clear just what interests the UK has just off the Chinese coastline. Williamson will warn that Russia and China are blurring the boundaries between peace and war and declare that Britain must stand up to those who "flout international law", a principle that "may lead to us intervene ourselves." "To talk but fail to act risks our nation being seen as little more than a paper tiger," he will say, seemingly unaware of how the world currently views Brexit ground zero. And so, with the UK domestic political situation going swimmingly, Williamson has indicated that Britain intends to expand its international presence in the Asia-Pacific region and the Caribbean where it somehow won't be seen as a joke by Beijing. As a result, his speech at the Royal United Services Institute in Westminster will signal that the government is taking a more hawkish stance. “We have to be ready to show the high price of aggressive behaviour,” he will say. Perhaps to avoid being seen as a laughingstock, the US will embed aircraft with the carrier because Britain recently took receipt of only 17 of the 48 F-35 jets that it has committed to buying. The UK "show of force" comes after he criticised the Chinese telecoms giant Huawei last month and voiced grave concerns about it supplying infrastructure for Britain’s mobile network, amid espionage fears. Meanwhile, just to make sure China is really pissed off, overnight two US warships sailed near islands claimed by China in the disputed South China Sea, prompting an angry response by China's foreign ministry, which said the ships entered the waters without China's permission, ministry spokeswoman Hua Chunying told a daily news briefing.